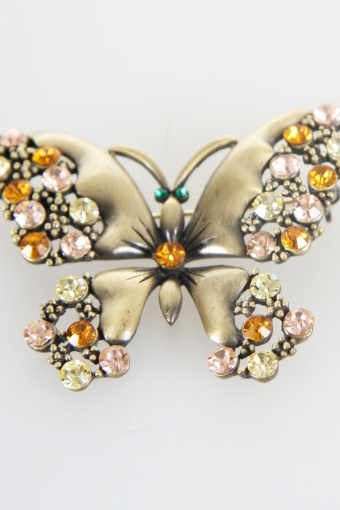 Butterfly strass brooch antique gold bronze by From Paris With Love! 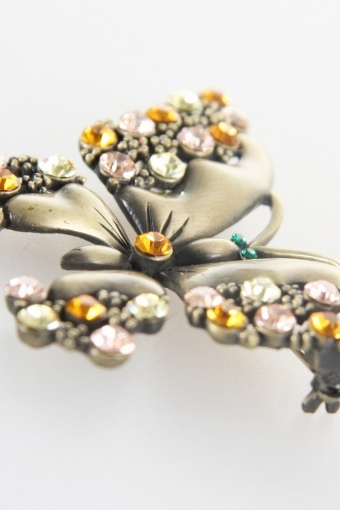 Beautiful butterfly brooch. 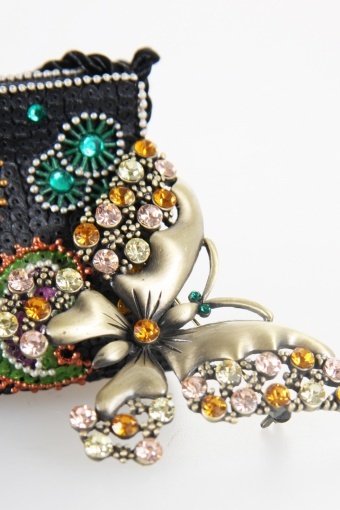 In gold-bronze coloured metal, with green strass eys and pink, orange and white strass details on the wings.